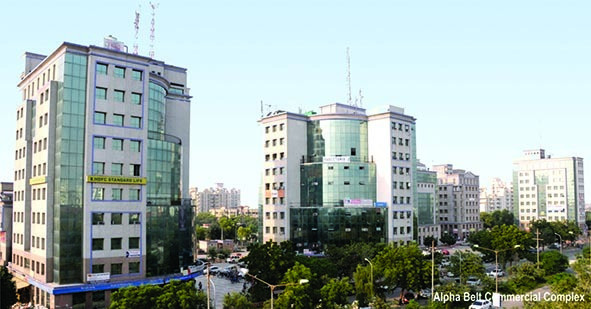 Greater Noida has earmarked sectors for commercial activity in an area of 153.63 ha. These opportunities cover shopping malls, multiplexes, convenient sector shopping. These are available in various sectors as well as in the adjoining residential areas. The Greater Noida Industrial Development Authority floats regular schemes from time to time for commercial sector allotments. Avenues of investment in the commercial space include: Plots, Built-up space, Kiosks facilities, etc.